Cannes film festival - Anna Kendrick and Justin Timberlake did their best to engage the jeans off of the gathering of people at the Cannes film festival 2016 on Wednesday. 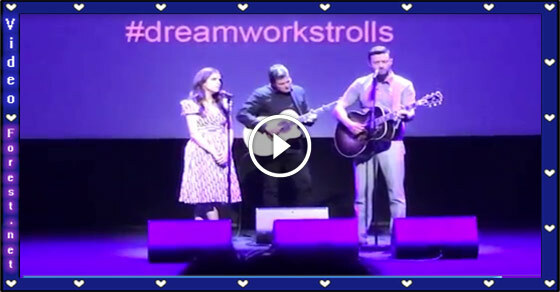 The two co-stars of the upcoming film "Trolls" hit the audience for a disarmingly sweet, acoustic duet of Cyndi Lauper's famous song "True Colors." Given the chill way of the melody, Kendrick and Timberlake seemed as though they could've been two youth bunch pioneers singing around a campfire.